While fairly uneventful, one incident this Memorial Day Weekend drew some unwanted attention to Ocean Drive's Colony Hotel and its Columbus Restaurant. 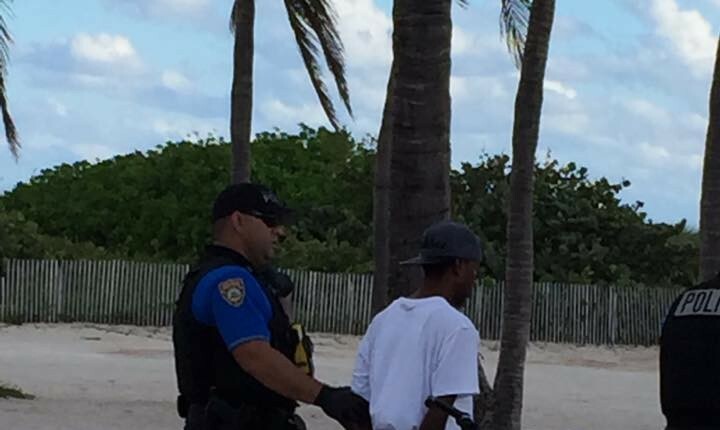 What the Miami Beach Crime Prevention and Awareness Group reported started as an incident inside the restaurant ended up as a street fight. In videos posted by group co-founder John Deutzman and member Mitch Novick, a large number of people can be seen running from the scene knocking others over, including Deutzman, and frightening others. Miami Beach Police Spokesman Ernesto Rodriguez said MBPD received a call that shots had been fired in the area but police found no victim or spent shell casings. “We believe that fight that was captured on video may be what triggered everyone to run,” he said. Ultimately, no report was generated and no one was arrested that he knows of. Following Novick’s posting of the damaged structure, another crime group member notified the City and the Hotel was slapped with an unsafe structure violation by the Building Department. 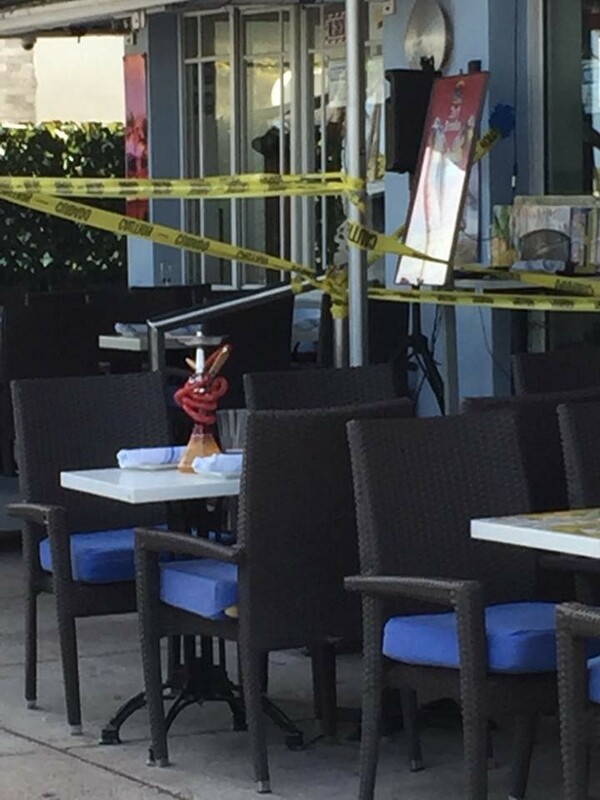 Miami Beach spokeswoman Melissa Berthier says the Hotel is allowed to continue operating but must “protect the area under the canopy to safeguard the public”, that includes removing tables under the canopy and keeping the front door locked (photo above). Access is temporarily through the side door. In addition, Berthier said, the Hotel is required to submit an engineer’s report evaluating the structure and base and to determine next actions. On May 15 and 17, the City cited the Hotel for “cracked and/or broken stucco” on the front, requiring the area be “scraped and painted." Naturally, everyone dug a bit further, uncovering the list of violations racked up by the Hotel and restaurant. There have also been five sanitation violations since October including two citations for overloaded dumpsters and one for illegal disposal of bulky waste in an alleyway. The Hotel paid a fine for spilling oil in the alleyway and is currently appealing a citation from early May for raw sewage in the alleyway. The Hotel has also received three zoning violations in the past year including improper installation of speakers and TVs on the exterior of the building and one citation in January for a sign in disrepair (no further specifics are given to indicate if that sign is the same marquee that is now severely cracked). The Columbus restaurant has also had three citations in the past year for illegal speaker and TV installation and one for having a DJ and speaker on New Year’s Eve without a conditional use approval. As the City works to clean up Ocean Drive, you can bet there will be more attention paid to this property.